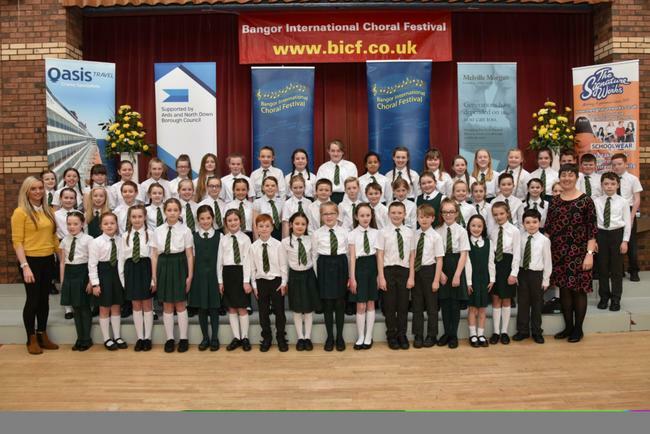 On Thursday 4th April, the senior choir represented Orangefield PS at Bangor International Choral Festival 2019. 57 singers with Ms Greenwood and Mrs Bennett sang in two classes. We were unplaced in the own choice category but won first place in the sacred music class with Ose Shalom and Jubilate.